Casa Rivas was established in 1992 at María Pinto in the Maipo Valley. 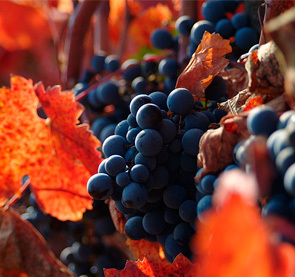 The vineyards are planted at the foothill of the West Coastal Mountain Range, oriented to the sea and under a particular combination of climate and soil, resulting a unique terroir, where the different vine rootstocks have been planted in order to grasp the best of each area, achieving the optimum ripeness level and expressing the whole potential of aromas and flavours of each variety. Since 2008 we are part of VSPT Wine Group and continue offering highly regarded quality wines to our consumers from remarkable denominations of origin. Our mission is to produce fine wines with a clear identity of terroir that garantize consumer satisfaction and as a result of environmentally friendly practices and viticultural management for the production of premium quality grapes and oenological processes that ensures wines with character, rounded, balanced and, at the same time, consumer friendly. Our philosophy is demonstrated in all stages involved in winemaking process. First of all, with environmentally friendly practices at our own vineyards and then during vinification, both oriented to obtain premium quality grapes with high potential of aromas concentration, acidity and pH. At the cellar we are focused in obtaining wines with more intense colour, aromas, concentration and balanced acidity. Our vineyards and cellar are located at María Pinto, 60 kms. northwest of Santiago, in the Maipo Valley. This region has a very interesting combination of climate and soil that make it a very unique terroir. Vineyards are planted at the foothill of the West Coastal Mountain Range , 45 kms. from the Pacific Ocean, that benefits with cooling sea breezes in summer time when maximum temperatures reach 28°-30° for one or two hours, and then decrease to 14° at night, giving as a result slow grape ripening and great colour and aromas to our wines.